The path to the extraordinary. “Pranayama is the practice of breath control. The word prana refers not only to breath, but also to air and life itself.” ~ Christy Turlington; American model. Life can certainly get complicated for us, or, better put, each of our thinking and unique perceptions make life complicated; but, however difficult and overwhelming it gets for us, there is one thing we can count on to get through any hardship: Energy. Conservation of energy. The secret to mental elevation and all extraordinary success in life. What Buddha, Jesus, and other extraordinary men knew. Prana, the vital energy that fills us with life, that empowers us to exist in this reality, is the gift that life gives us, enabling us to be one with life. The three major sources of prana from which we draw externally are: the earth, air and the sun. They all come together in the air and these globules of vitality, contained in the air are constantly being absorbed through our subtle mind and body structures. You have noticed that most of humankind wastes thought and all thinking processes, behaviors and attitudes, in any trivial and obnoxious enterprise that attracts their physical senses; thus, subconsciously distracting and weakening themselves from more fruitful human endeavors, creating a gap between themselves and extraordinary accomplishments of the mind and body, and even depleting themselves from vast energy, cosmic energy or prana, energy of life, which we call conscious energy but not from any source science knows. This is the energy meditators know and experience when in serious meditation trance. 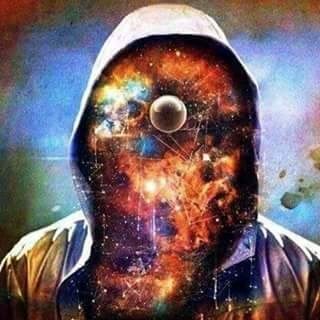 This energy runs through us via the subconscious, Infinite Intelligence source, and gives life to all we do behind our heartbeats, blood flow, nervous system, immune system, etc. This energy conservation is vital for strength of mind through challenging times, such is the strength to remain undeterred and positive when problems or challenges which shake life itself are encountered. It is core to powered and sustained confidence, energetic attitude, and all traits of the mind and body which are necessary for extraordinary mental control and inner and outer success; on the other hand, one that is low or weak in this prana energy will lack self-motivation and oomph, will lack confidence and will be shy and feel awkward around others. This energy then drives mankind to great deeds and to believe in themselves; and one revitalizes himself with this energy by using the energy of his own thoughts and actions wisely, by not engaging in stressful situations that could be avoided, by controlling one’s own anger and all reactive emotions, by controlling sexual impulses, and by adopting a wiser stance on shopping and in the process of food intake (healthy of mind and body). Next Post The mind of the fool.